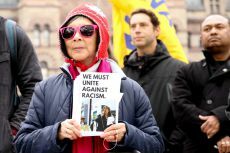 Toronto – March 22, 2019 – UFCW activists joined migrant workers, community organizations, and concerned citizens from across the Greater Toronto Area at Nathan Phillips Square on March 21, to rally for migrant justice and denounce racism and xenophobia. 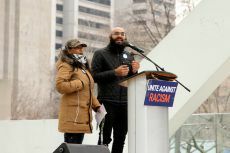 Held on the International Day for the Elimination of Racial Discrimination, the rally sought to bring attention to the challenges faced by migrants and refugees in Canada, including poor housing conditions, labour exploitation, racial discrimination, and a lack of basic rights. 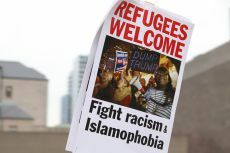 The event also called on Canadians to unite against racism and demand justice for migrants. 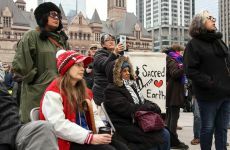 At the rally, participants heard from several guest speakers, who called on governments at all levels to provide decent work, access to public services, and a pathway to permanent residence for migrant workers and refugees labouring in Canada. 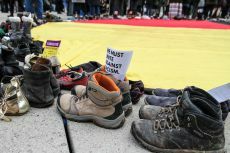 The rally-goers also commemorated the victims of the horrific mosque attack in Christchurch, New Zealand. 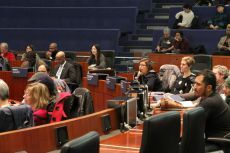 Following the demonstration, activists gathered at Toronto City Hall for a forum titled “Migrant Rights in Canada: Resisting Racism, Seeking Justice.” Co-hosted by the Urban Alliance on Race Relations and the Toronto & York Region Labour Council, the forum discussed the recent rise of hate crimes, incidents of racism, and human trafficking, and explored strategies for combating these disturbing trends. 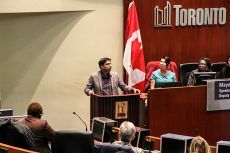 “UFCW has long believed that if you’re good enough to work in Canada, you’re good enough to stay, and it is time that our immigration and labour laws reflect that reality,” he adds. 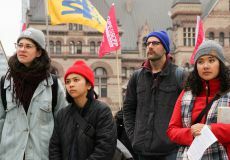 Prior to attending the rally, UFCW Canada made formal submissions to the federal government on providing union-led health and safety training to migrant workers and protecting migrants and refugees from labour exploitation and trafficking. 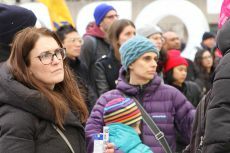 For more than thirty years, UFCW Canada has led the way to bring justice, safety, seniority, and better wages to migrant workers, particularly those working in the agricultural sector. 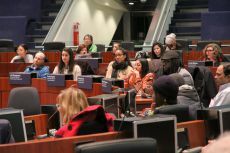 Together with the Agriculture Workers Alliance (AWA), UFCW operates numerous support centres for migrant farm workers labouring in Canada. 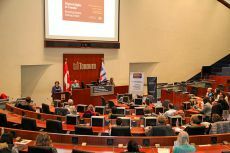 To find out more this ground-breaking work, visit ufcw.ca/awa.